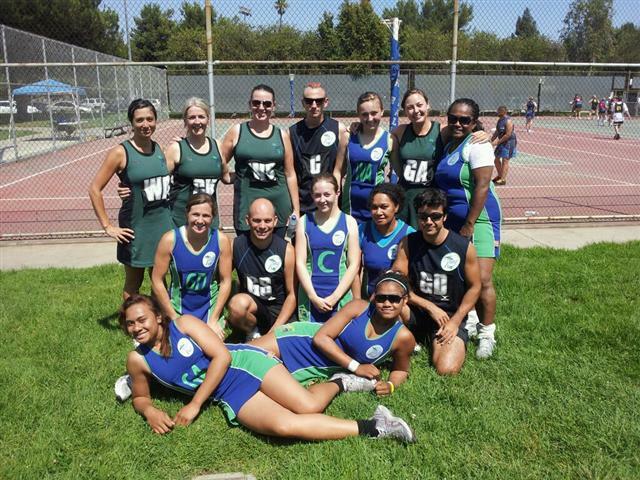 Emerald City Netball Club were delighted to enter 2 teams in this years La La Land Tournament. Sadly, neither team won the tournament but we did give all the other teams a run for their money! Well played to both teams! 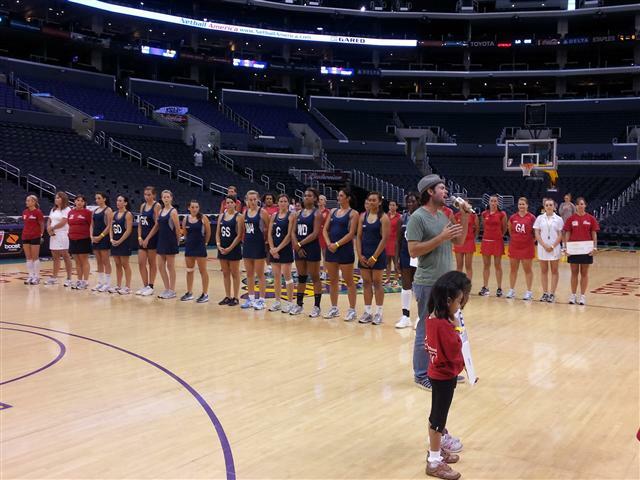 One of the main highlights of the weekend was the Netball America Showcase at Staples Center in LA. 3 of our very own ECNC members were chosen to represent the West Coast Team (blue jersey's below!). 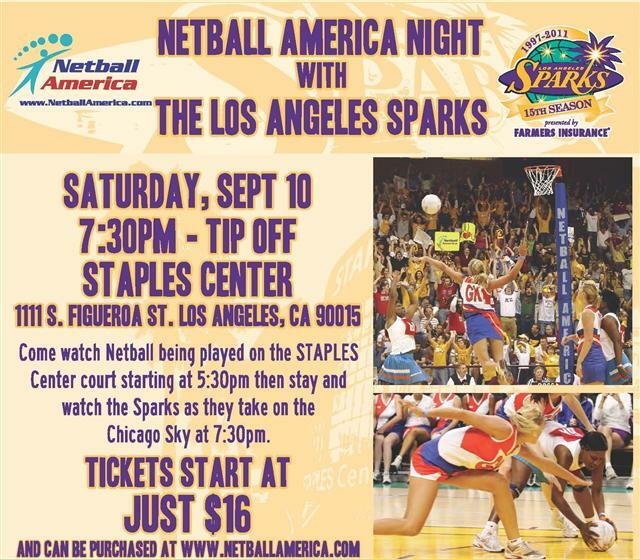 It was a great honour to be involved and everyone had a blast playing, helping out, and watching the LA Sparks play afterwards. Netball America also presented ECNC with the $5000 grant award which we won for the Get A Girl Going program which we will be implementing in the spring of 2012.